Launching the Retro A1 Build! We’ve recently launched our A1 retro build, and it’s been receiving some great notices! This is a reimagining of the classic A1, with a focus on quality parts while still keeping the costs down. CLICK HERE TO READ MORE ABOUT THE A1! Whether your magazine release is worn out or just uncomfortable, this one-piece replacement release will get you back on the line. The extended paddle on the XGMR makes gun handling easier for all hand shapes and sizes. It is machined from 6061 billet aluminum and will accommodate KNS pins and the BAD lever. It fits New Frontier-style lowers. Weight: 0.3 oz. Made in the USA. GET THE ODIN WORKS MAG RELEASE HERE! A yellow chamber plug/safety tool. This acts as a safe chamber indicator, and is also handy as a push pin tool for takedown and pivot pins, and can function as a magazine unloading tool. 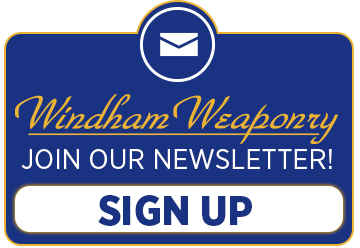 A catalog of Windham Weaponry models, parts and accessories, which includes complete warranty registration information. or call us toll free 1-855-808-1888. GET YOUR FREEFLOAT HANDGUARDS TODAY! IT’S NOT FUNNY, MOTHER NATURE! It’s hard to believe SPRING is finally here in Maine. The only problem is, I think Mother Nature has been playing a few April Fools jokes on us. We have had beautiful weather in the high 50s and the following day it is snowing. Hopefully warmer weather is right around the corner. Conference. I would like to thank you to everyone that stopped by to say hi. f you are in the area, please stop by. At the end of the month you can find Windham Weaponry representatives in Indianapolis at the NRA convention! They’ll have a few new items, so stop by and visit! 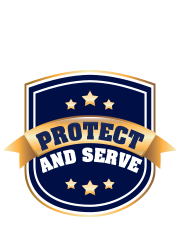 This program includes active/retired police officers and military. Please reach out to us and take advantage of this great discount! In June we will be hosting a class here at the factory. Maine is beautiful in June and if you could manage a working vacation this would be a great time! If you are interested in attending an armorer’s course, we have several scheduled all over the country for 2019. Please check the link below for the classes we have scheduled. Practical Handgun 02 is designed to enhance skills taught in PH01 and develop additional skills that are necessary for personal safety in and out of the home. This course emphasizes safety, fundamentals, and tactics while engaging various targets from stationary positions behind cover and shooting on the move. WISR Training Concepts Instructors will increase your speed and accuracy while utilizing proper tactics. Topics will include: unconventional firing positions, barricade shooting, shooting on the move, multiple targets and tactics. This course is designed to educate students in safe gun handling skills & use of handguns best suited for personal protection or home defense. Topics will include handgun safety, cycle of operation, vocabulary, caliber selection & accessories. Our experienced instructors will also cover handgun management, shooting fundamentals (stance, grip, sight picture, trigger press and breathing), effects of stress and myths vs. reality. Instructors will identify your handgun needs and suggest the best handgun for you. This is a classroom only training. This course meets the basic requirements for Maine’s CCW permit.